Our sister company Berkshire Asphalt is officially opened! Their asphalt prices have dropped considerably. For current pricing visit them Monday- Friday 7:00-3:30, call at (413) 734-8076 or visit on the web at www.berkshireasphalt.com. 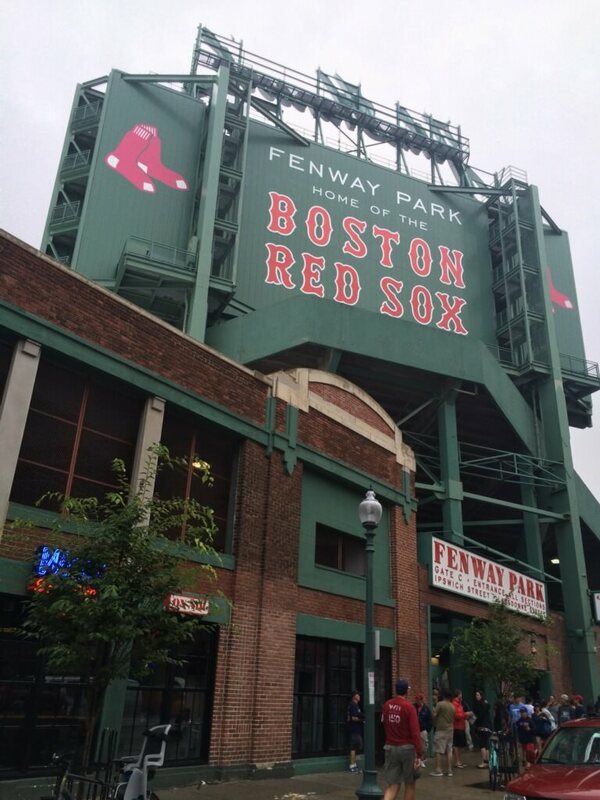 Sunday, Alton E Gleason Co. and friends, had fun watching the Boston Red Sox take on the Kansas City Royals! 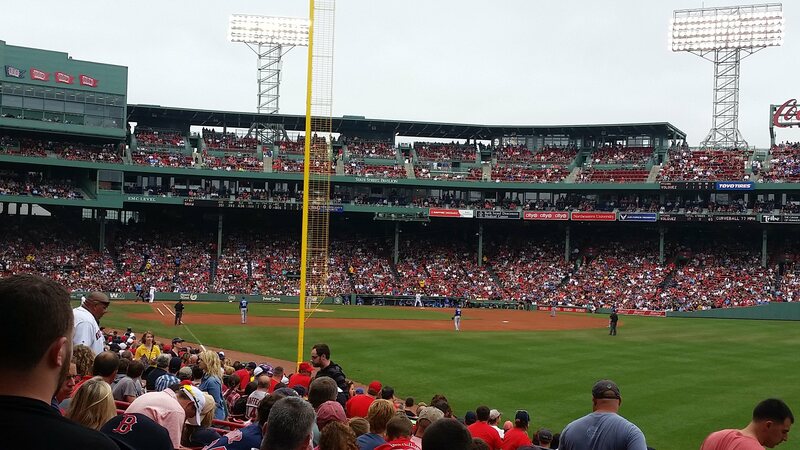 Saturday was well spent in Cape Cod, Massachusetts. 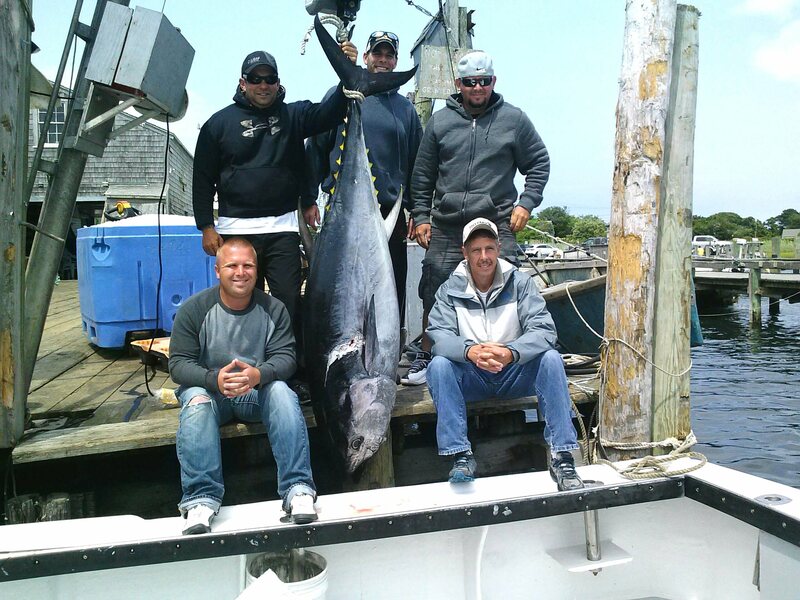 Gleason's crew caught an over 200+ lb tuna. Check out this letter of commendation. 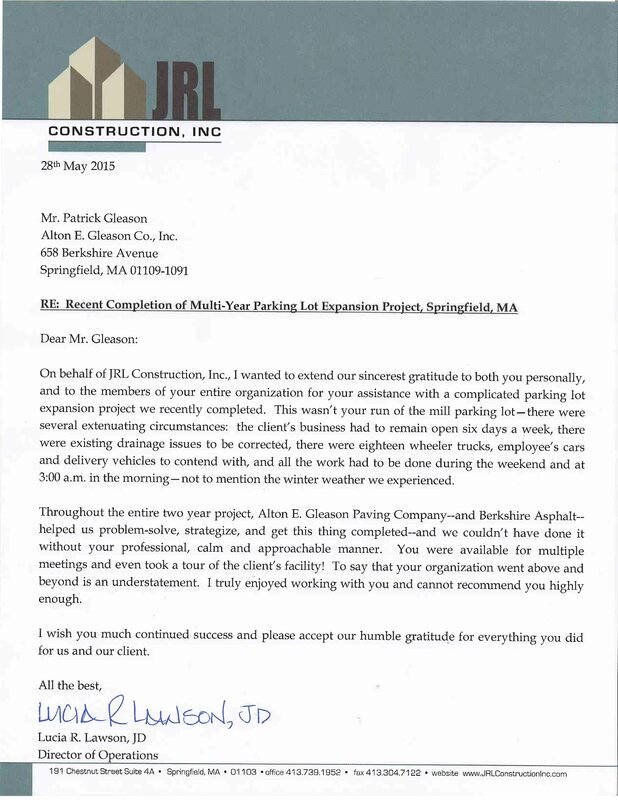 We love to hear from our satisfied customers!